UP PEP SQUAD AND TEAM IRIGA (2nd Place, Japan International Cheerdance Competition) as Guest Performers. 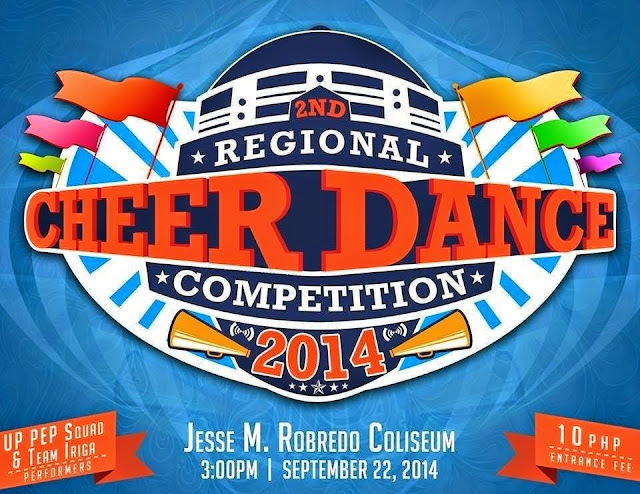 *The 2nd Regional Cheer and Dance Competition 2014 Live Streaming will start at around 3:00 PM on September 22. Audio and video live streaming quality may vary depending upon your Internet Service Provider's speed, browser and or computer. All live streaming are courtesy of the local networks.